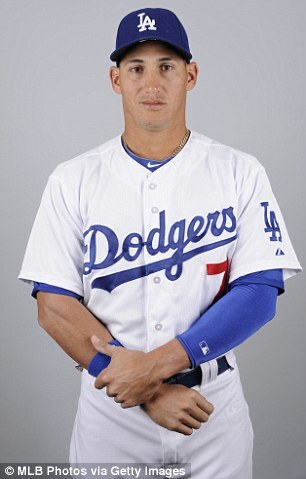 The NPB team Hanshin Tigers, of the Central league, are looking into signing former LA Dodgers outfielder/3B/SS, Alex Guerrero, 29 years of age, as replacement for losing Tsuyoshi Nishioka due to a recent injury (ruptured Achilles tendon) back in July 20th… the team has already made contact, and are currently discussing on a deal. With first-year manager Tomoaki Kanemoto leading the team, so far owning a disappointing 5th place (last place) stand in the CL, the team are in desperate need of offense, and are in the foreign market for quite a while to find the right guy to minimize their offensive woes, and, hopefully, make a come back on the Climax Series chase. The Hanshin Tigers’ 70-man player roster, currently, is stacked, but they are willing to trade, or release one of their guys to provide an opening for Alex Guerrero, who is currently a free agent, before the July 31st player registration deadline. Alex Guerrero signed with LA Dodgers back in 2013 on a 4-year deal worth 48 million USD, and made his Major league debut with the Dodgers back in March 22, 2014 against the Arizona Diamondbacks, he played for 2 years there at the Major league level… owning a batting line of .224/.251/.414 in 117 games played (232 AB’s), while hitting 11 homeruns and 36 RBI… he was released by the organization back in June 8th due to his struggles.